As you can see, there is a lake with roads across the top. I know that there isn’t a lake there, but a parking lot and a building. 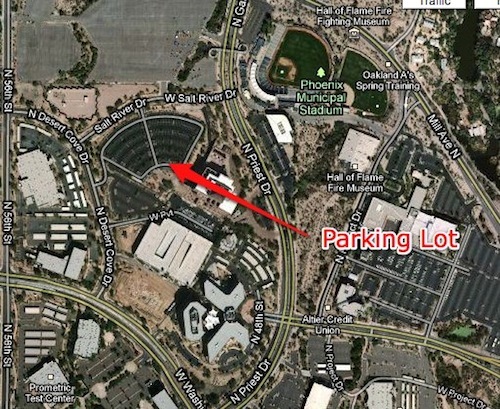 Of course the Google Maps aerial confirms this. So what the heck happened? How could Google put a lake in the middle of a desert? Enter Legend City. 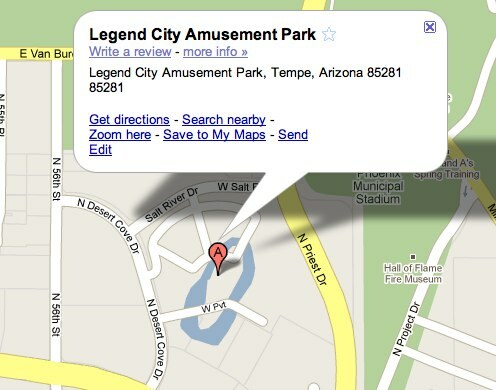 Before my time in AZ, there was a small amusement park in Tempe. 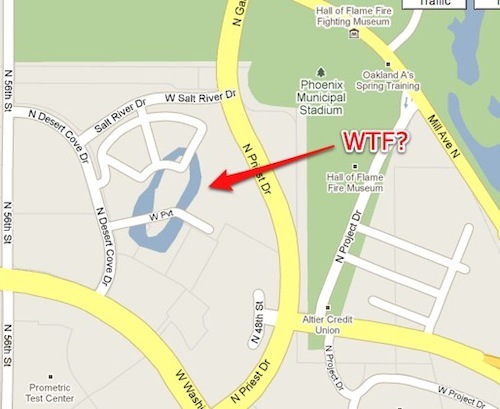 It of course failed and SRP bought the land and put one of their buildings on it. The park closed in 1983 and I’m sure the lake dried up or was drained in weeks. 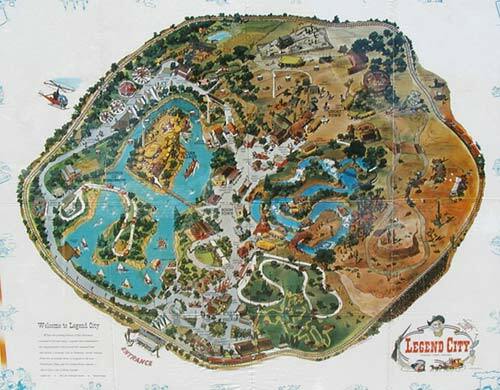 Map of Legend City - See the lake on the left side of the map? So I know you are thinking the same thing I was. 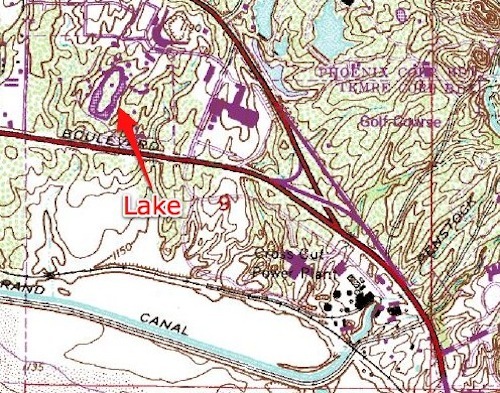 Let us take a look at the USGS Quad map for the area. So there it is, Google Maps are no worse than 30 year old USGS Quad maps. What makes it even more fun is you can search Google for Legend City and get everything but a phone number. Google best clean this stuff up. I’ve gone ahead and “reported” the problem so hopefully it will be removed here soon, but how can one build routing and other online apps on an API that has data which is so inconsistent? I guess it is up to the community to fix Google’s maps for them.